Join us at the 2019 Summit on Thursday, May 16th for a great discussion entitled Cash is King! In a landscape dominated by fintech, mobile and P2P payments, is cash a dying breed? Find out at our Opening General Session, where we will explore the unique challenges and opportunities facing cash-intensive industries – including security risks, legislation, banking center consolidations, advances in cash handling technologies, rising interest rates and the desire for faster, more efficient concentration of currency and coin. Our panel includes professionals from government, retail, and marijuana industries, who are sure to prove that in their worlds, cash still remains king. Joanna is treasury management professional whose experience spans corporate finance, banking operations and commercial treasury sales. In her current role at UMB, Joanna serves the bank’s commercial and institutional clients across Colorado, consulting on strategy and Best Practices for payments and receivables. 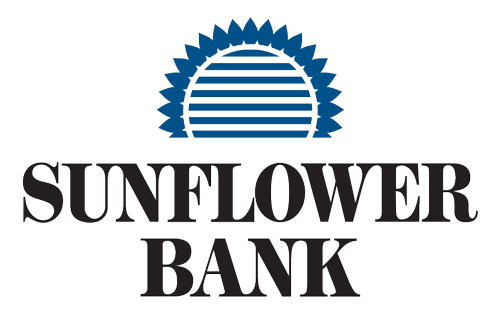 Prior to joining UMB, Joanna worked in corporate treasury for a Fortune 500 company, where she was responsible for a variety of duties ranging from strategic credit decisions to daily cash operations. Joanna’s passion lies in bringing a unique and trusted perspective to her clients, and she is an outspoken advocate for the strategic importance of the Treasury Management function within organizations. Joanna graduated from the University of Kansas with a BS in Finance. She is a Certified Treasury Professional, an active member of the Association for Financial Professionals and Rocky Mountain AFP, and a proud volunteer for The Federal Reserve Bank’s Teach Children to Save program and Girls Inc. of Metro Denver. Lenny Evansek is the SVP of Business Development at Loomis U.S. Lenny’s experience includes global supply chain, treasury management, cash logistics and automation from his experience at FedEx , Brink’s Inc., Fifth Third Bank, and Loomis. His focus is working with large corporate retail, restaurant, and franchise companies to help them find ways in which to operate more efficiently, reduce operating expense, and improve the cash flow of their businesses by using automation. Lenny holds a bachelor’s degree in Business Administration and a masters of Business Administration degree from Waynesburg University of Pennsylvania. Michael L. Raisch is the Chief Financial Officer of LivWell Enlightened Health, one of Colorado’s leading companies in the state-legal and highly regulated cannabis industry. Mike has spent many years in public accounting in Colorado as a partner in both local and national CPA firms, primarily practicing in the area of income taxation. During this time, Mike served clients in a variety of industries. After spending 14 years in the distribution business, Mike returned to public accounting and became the COO of one of Colorado’s largest local CPA firms, GHP Horwath (which has since been merged into the national CPA firm of Crowe Horwath). After 7 years at this firm, he left for a new career in consulting, which eventually led to his position with LivWell Enlightened Health. Mike has been an active participant in the AICPA, the Colorado Society of CPAs, the Financial Executives Institute (FEI), the Association for Corporate Growth (ACG), and a variety of other civic and professional organizations. Stephanie Swift is a Financial Analyst specializing in cash management with the City and County of Denver, tracking receipts totaling over $4 billion annually. Her focus is working with the city’s 30+ receipting departments to strengthen receipting processes through administration of fiscal rules, cash handling best practices and fraud education. Stephanie developed and implemented standardized cash handling training throughout the City and County of Denver and is instrumental in ongoing cash handling analysis and receipting improvements. She has a background in retail management and kicked off her career with the City and County of Denver in Economic Development. Stephanie is a Certified Treasury Professional and holds a bachelor’s degree in Marketing from Fairleigh Dickinson University. 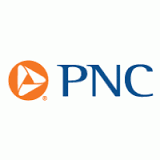 Thanks to our Title Sponsor: PNC Bank! Thank you to our participants in the Corporate Practitioner Focus Group held in January 2019!